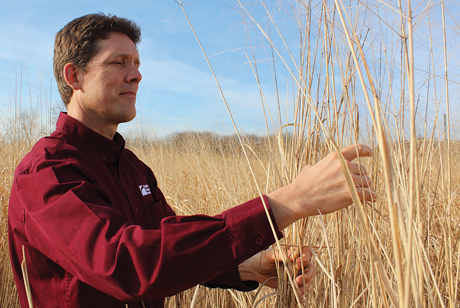 John Fike, associate professor of crop and soil environmental sciences and an Extension specialist, studies crops such as miscanthus to determine their feasibility as sources of biofuel. In the future, the move toward renewable energy produced in the commonwealth could be a boon for farmers, help industries cut costs, and assist in the battle against climate change. Despite the downturn in fossil energy prices, colleges, hospitals, and companies around the state are tapping into the supplies of biofuels, and researchers at Virginia Tech want businesses and farmers to be able to capitalize on this market. “We have the opportunity to grow a number of plant species — both existing crops and new species — that could be used for everything from chemicals and fuel to paper. Dedicated biomass crops may also enhance our existing natural resources portfolio by conserving soil and reducing runoff,” said John Fike, an associate professor of crop and soil environmental sciences and Virginia Cooperative Extension specialist who has been conducting studies on the feasibility and costs of biofuels. Although the cheap price of oil and natural gas in recent years has slowed development of bioenergy and bioproduct systems, the industry continues to push ahead. Ken Moss, CEO of Piedmont BioProducts in Gretna, Virginia, notes that earlier business models that were based on fuel production alone don’t work well in today’s economic climate. Piedmont BioProducts has taken a different path and is investigating advanced engineering systems to extract high-value chemicals from plants before turning the post-process residues into fuel oil and soil amendments. Others are going old school, using the biomass as a replacement for traditional sources of boiler fuel. Fike figures it is just a matter of time before energy prices start to climb again, and when they do, he wants farmers to be armed with research data that can help them decide what crops to grow and to know how those crops can fuel new profits. He has primarily worked with switchgrass and miscanthus — grass species that are better suited than row crops for use on marginal farmland. These species typically need fewer inputs of fertilizer and other agricultural chemicals than row crops. Along with having lower nutrient needs than traditional crops, switchgrass is a native species that can be hayed or grazed and can provide good wildlife habitat. And, because both species are highly productive and have large root systems, they can capture large amounts of carbon dioxide from the atmosphere and store much of this carbon in the soil, helping reduce the amounts of greenhouse gases in the atmosphere. Miscanthus has proved more responsive to nitrogen fertilizer inputs in Fike’s studies, although the economic returns have not yet been evaluated. Miscanthus is more expensive to establish, but it is especially promising for some regions of the state. 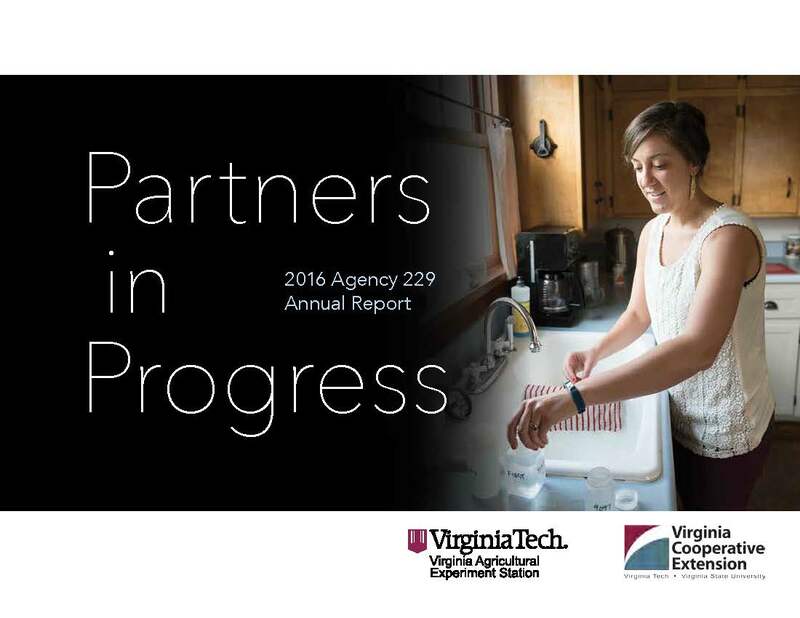 With the work of scientists, students, and industry, the power of Virginia’s agricultural portfolio could be even stronger in years to come. The new plants can be lucrative for the state but are also easy on non-ruminant stomachs due to low phytic acid. 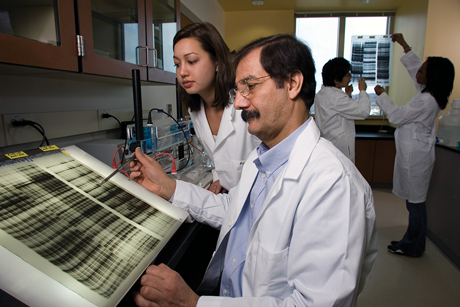 Saghai-Maroof identifies soybeans with desirable genetic traits using cutting-edge technology such as the mass spectrometer — a machine that measures metabolites that go beyond the DNA footprint of a plant — and gives researchers the ability to see metabolic processes at work in the genetic development of an organism. “Virginia Tech is making a soybean specifically for Virginia livestock that will be environmentally friendly and will be utilized by the animals in the most efficient way,” Saghai-Maroof said.